New York/Los Angeles is an exciting collection of new images of America's two most interesting cities taken over some 40 years, captured in black and white and color photography; as seen through the eye of photographer, art director and award-winning designer Lloyd Ziff. 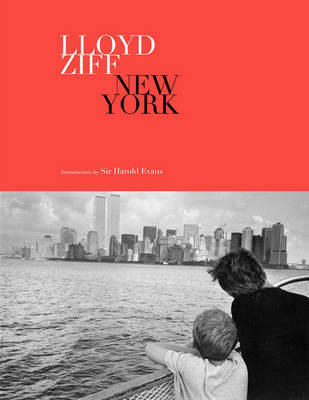 Lloyd Ziff is a well-respected and prolific photographer, his work has been included in the permanent collections of The Palm Springs Art Museum, Palm Springs, California, and The International Center of Photography, New York. He has been published in many of the world's most prestigious magazines including The New York Times Magazine , Conde Nast Traveler , Interview , Rolling Stone , Vanity Fair , and Wired . Before he became known as a photographer, he was an award-winning art and design director in publishing; he has also lectured in magazine design, photography, and illustration at Art Center College in Pasadena, California, The School of Visual Arts in New York City, and for 13 years at Parsons School of Design in New York City.